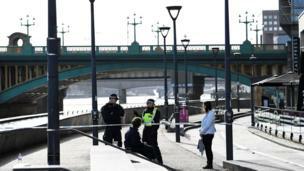 Images from the scene of Saturday's terror attack as the police investigation continues. 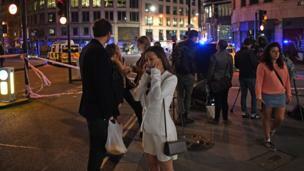 Police arrested 12 people in Barking on Sunday after seven people were killed and 48 were injured in London Bridge and Borough Market on Saturday evening. 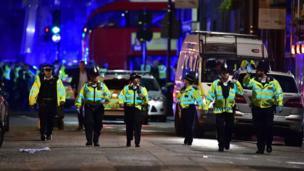 Areas of central London remained cordoned off after Saturday's terror attack. 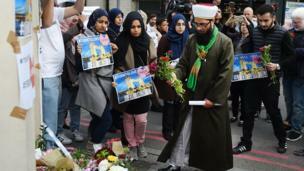 Members of the Muslim community paid their respects to the victims with tributes near London Bridge. 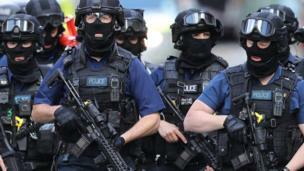 Counter-terrorism officers are patrolling near the scene. 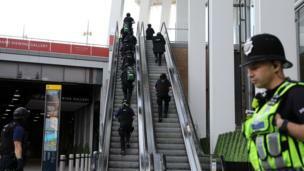 Armed officers have also been checking out the nearby Shard, Britain's tallest building. 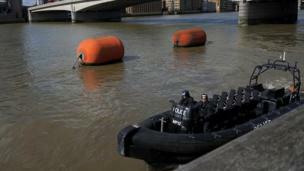 Police are patrolling the River Thames. 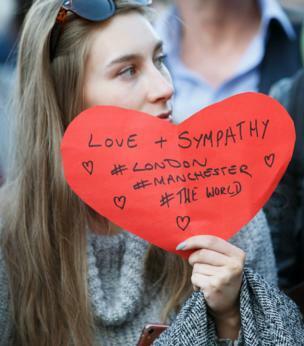 Messages of love and sympathy are being spread across the capital. 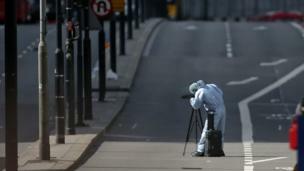 Forensics officers are working across the area. They collected pieces of evidence to help with the investigation. 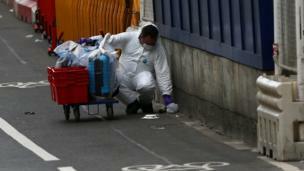 Sniffer dogs are also being used to find clues. 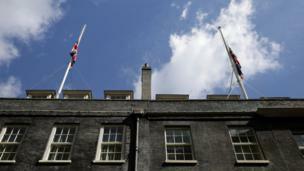 Union flags on Downing Street flew at half-mast on Sunday. 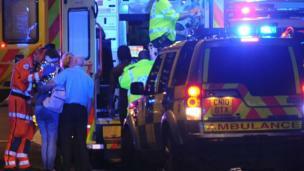 On Saturday night, police responded after reports of a van hitting several people on the bridge. 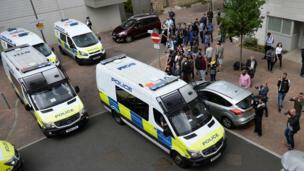 The surrounding area was quickly closed to the public. 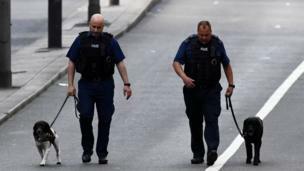 Police locked down nearby Borough Market - known for its restaurants and bars - where several of the victims were stabbed. 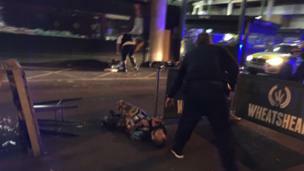 One social media user published a picture of a man on the ground with what appeared to be canisters strapped to his body. These explosive vests were later confirmed to be hoaxes. 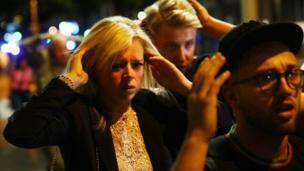 Some injured people were treated at the scene - 48 people, some critical, are being treated in hospitals. 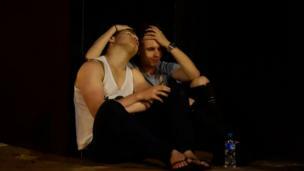 Facebook activated a safety check so people could let friends and family know they were safe.